Sooooo, WE GET SOME NES FANS OVER HERE!!! 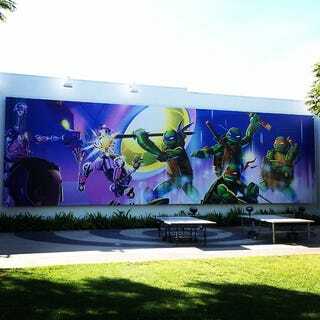 Yep, it seems the new banner get's it's inspiration from the full NES art from the original TMNT game. Seriously, if you are not watching the new show, you are missing on something really great. That last LARP episode was good, and full of easter egg content.